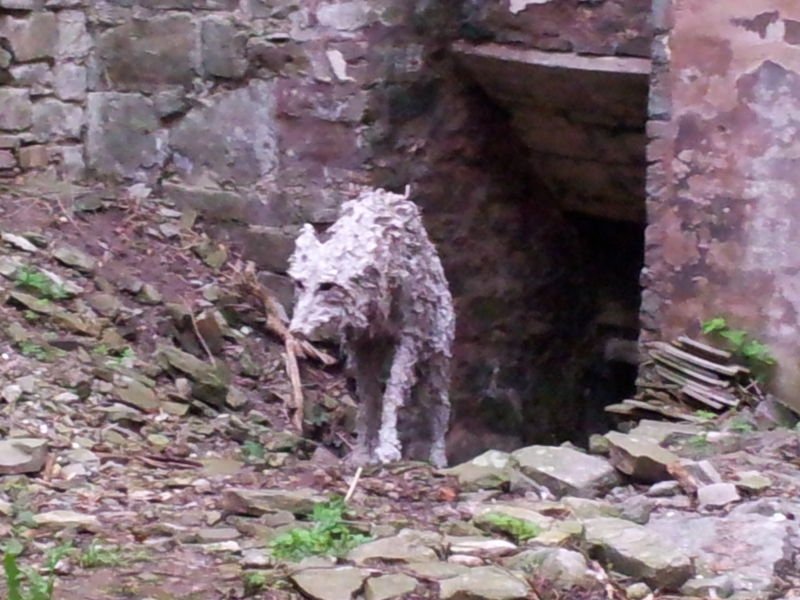 The first artwork that caught my eye was this striking sculpture of a wolf, emerging from the ruins of the Castle in Hay-on-Wye in Powys. Sadly there wasn’t a notice to say who it was by or how it was made, but perhaps that adds to the intrigue and sense of magic, breathing life into the materials as the light begins to fade. 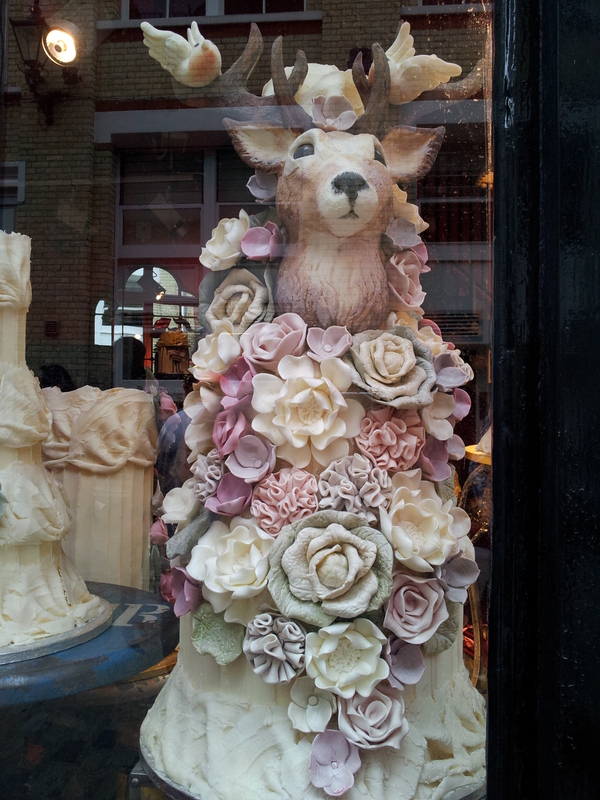 The second creation was this striking cake in the window of Choccywoccydoodah in London’s Soho. With pastel painted flowers, a mighty stag’s head, and delicately feathered birds, all handcrafted from sugar paste, it’s a sweet taste of the country in the heart of the capital. Far too good to eat. Posted in UncategorizedTagged art, city, food, WalesBookmark the permalink.